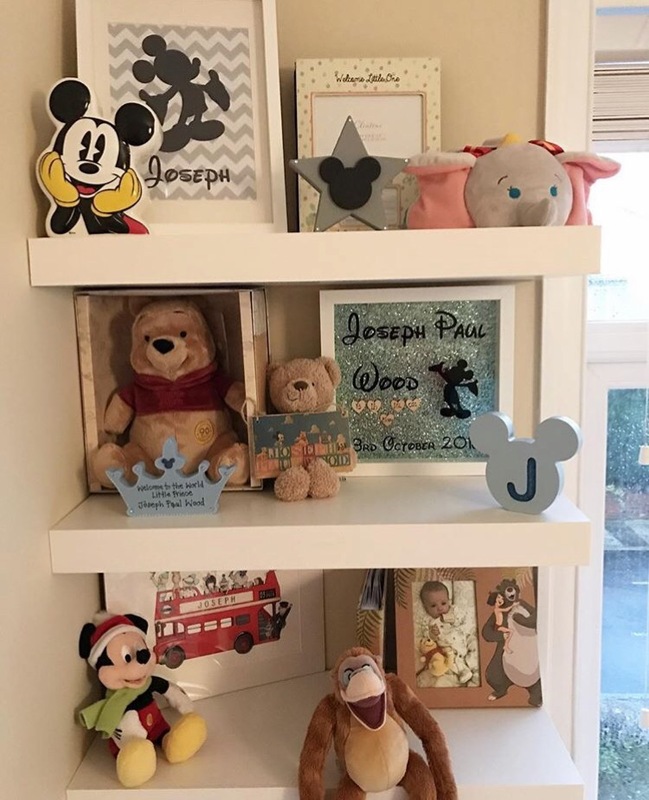 I didn’t quite plan to have so much Disney in my home but it just kind of happened… do you know what I mean? Like when you think that you need a clock and then you see a Disney clock and think I just have to have that! Well, that happens a lot in our house….. I am actually very lucky that Gareth is also a big Disney fan as I am sure that some partners might not be quite so accommodating. So slowly but surely our home had become filled with lots of Disney pieces and do you know what? I absolutely LOVE it! 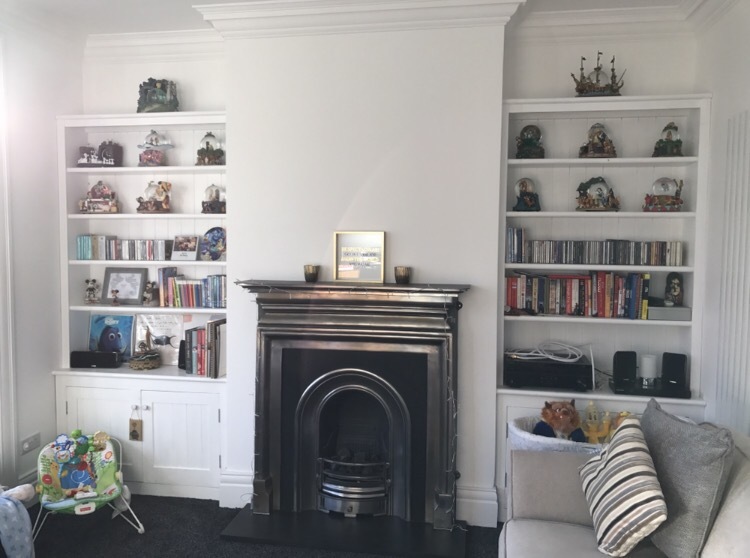 I know it won’t be to everyone’s taste and I am sure that some people can’t understand why a 37 year old woman collects snowglobes or buys way too many Disney mugs but I am proud of my home and I honestly wouldn’t change it for the world. So I thought I would share with you all my TOP TEN Disney pieces in my home. It’s actually very hard to rank them and I change my mind from day to day but here we go! 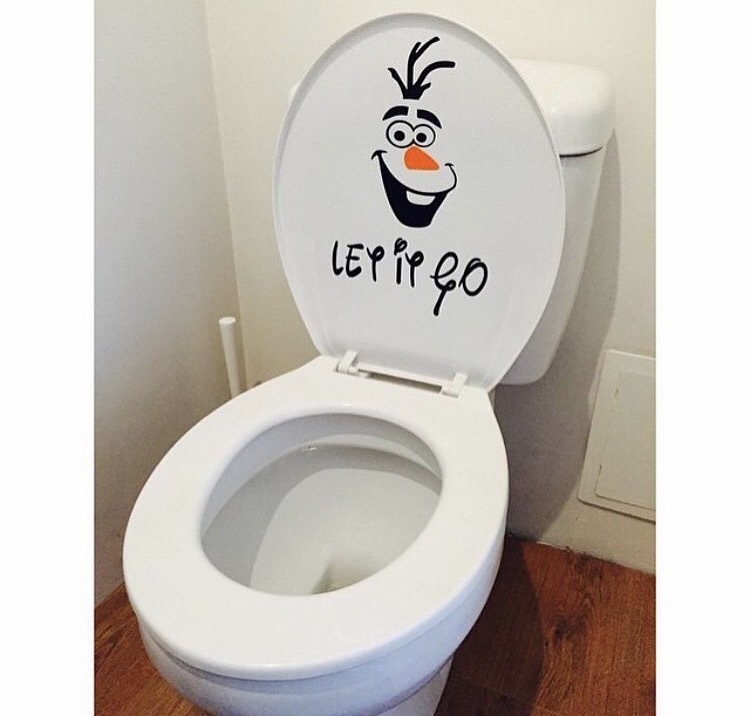 Olaf toilet sticker from eBay – Gareth also bought this one… I went out for a run a a couple of years ago ( I need to do more of this) and when I came home Gareth had put this on the downstairs toilet. I think it just adds a little fun to the toilet and people always have a little laugh when they see it. Disney outdoor area – I took this picture last Summer and I really hope that we get to enjoy our garden as much this summer! 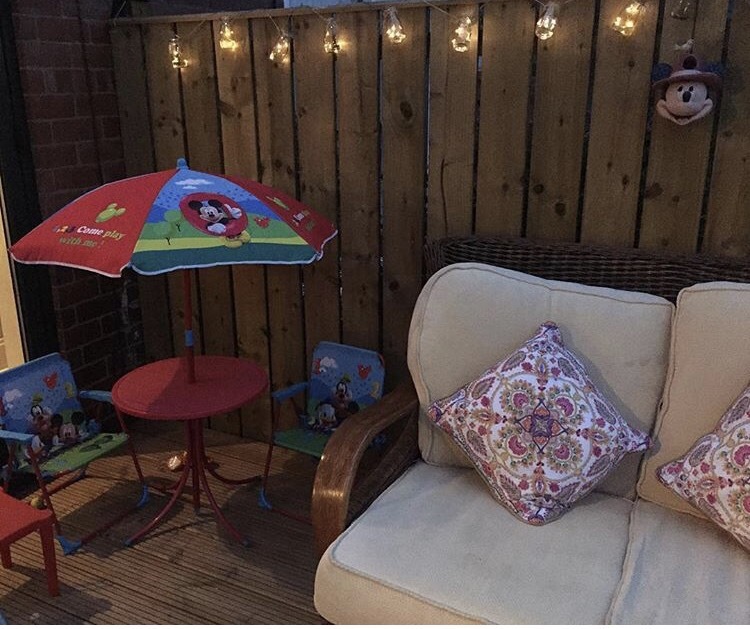 We picked up this little children’s patio set from a car boot sale for £10. The little lights are from Matalan and the cushions are from Primark. I love the Mickey Mouse bird house which is actually a Disney Traditions piece that I bought when I was visiting my brother in Antwerp. 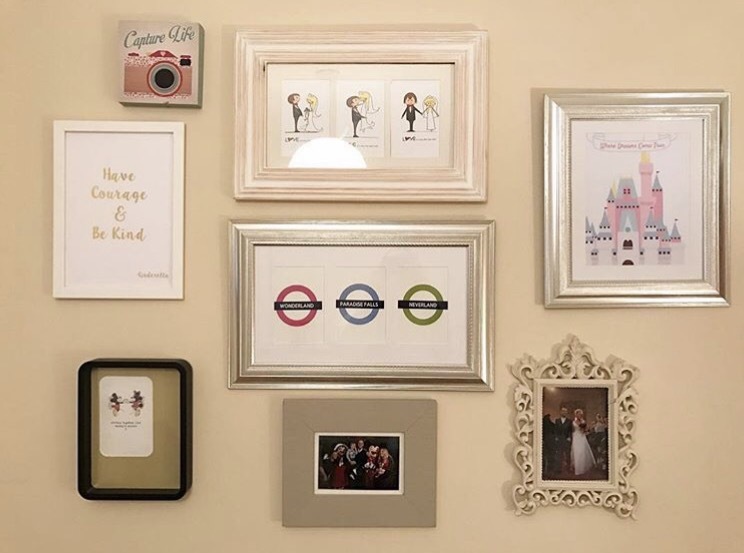 Disney underground print from Disney is always a good idea, the Castle print is from Oh you pretty things, the foil print is from Sweet little Gems. Alice in Wonderland fairy door from Magic by Mimi – this is one of my most favourite little pieces of magic in our home. 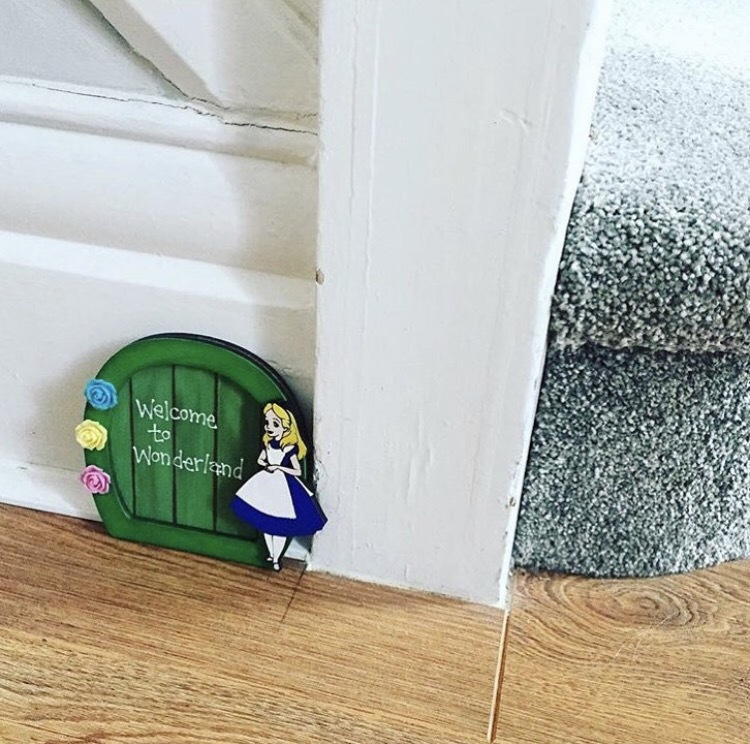 I wanted a fairy door for ages and then one day I came across this Alice one and thought it would look perfect in our hall way and it does! MY CHOPPING BOARD – I get so many compliments about this chopping board and people are always asking where we bought it. I was very lucky and a very kind friend actually made it for me. I love it so much and it’s amazing that such a simple piece can add so much to my kitchen. 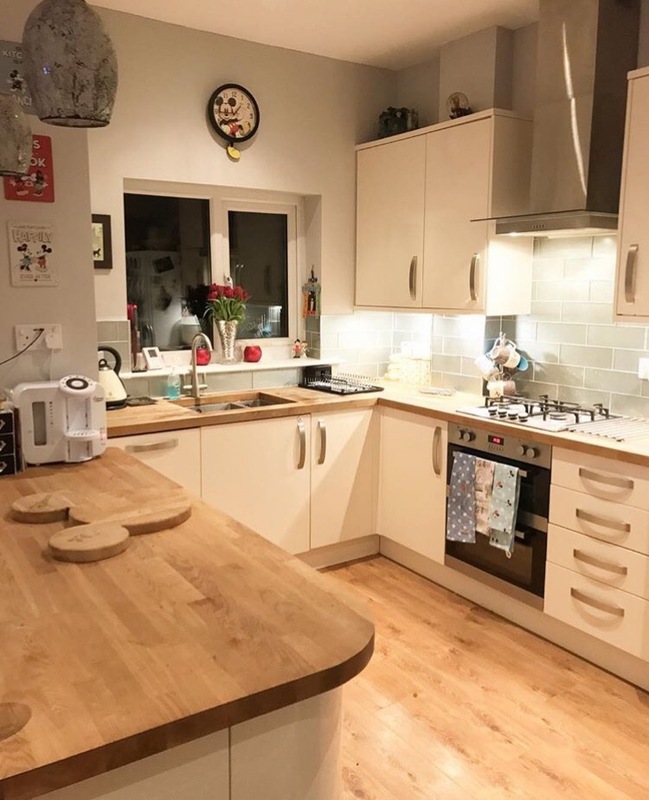 My lovely kitchen – I just LOVE my kitchen and I do appreciate just how lucky I am. When it was just Aoife and I we lived in a little flat and even though I loved our little flat it is lovely to now have this kitchen . I do enjoy cooking and spend most of my time in here so it’s nice to have some Disney bits around the place. 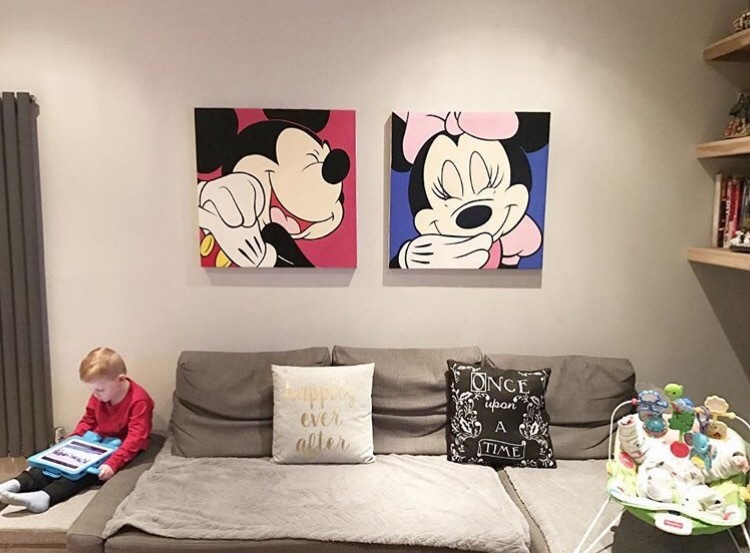 The Mickey signs were bought from BHS a couple of years ago. 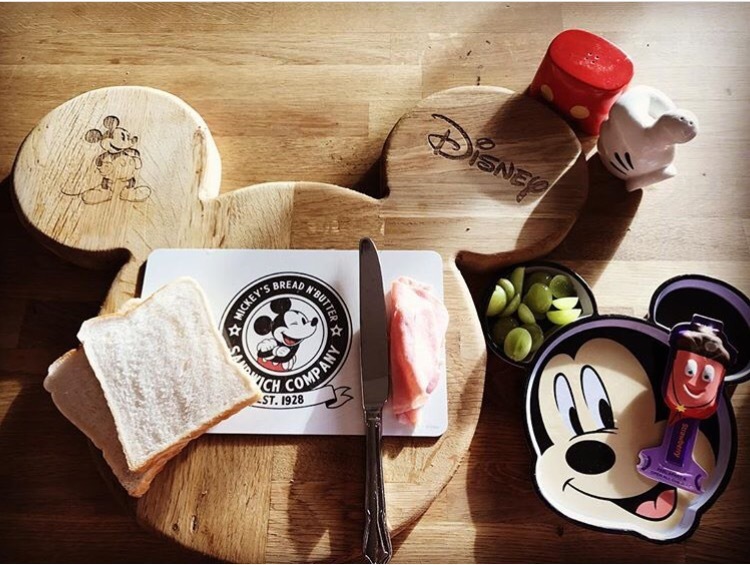 The Mickey Mouse clock is from eBay and we picked it up for £3.99 – total bargain! Our Living area – this is where we pretty much spend all of our time as a family. My brother in law kindly gave us these paintings and I knew they would look perfect here. A few people said that it might be too much and maybe I should just use one but I think they are great!